BOWLING GREEN, KY— April 27, 2011 - Community members unveiled the official ‘i love bg’ campaign at a news conference today. The news conference featured community officials, business leaders and individuals sharing their appreciation for Bowling Green. 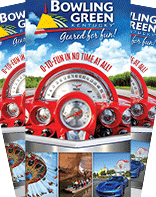 The campaign, initiated by the Bowling Green Area Convention & Visitors Bureau in the fall of 2010, began with an ‘i love bg’ graphic that businesses and organizations can use on letterhead, marquees and other promotional materials including e-newsletters, social media and websites. The Bowling Green Area Convention & Visitors Bureau has distributed nearly 5,000 ‘i love bg’ buttons since the graphic was created, encouraging all who wear the buttons to share their appreciation for the community with others. “There is so much negativity and unrest in the world, we wanted a reminder of all the things to be proud of and grateful for right here in Bowling Green. Our problems are no different than those of any other city, but our attitude can be different. So what started as a rough sketch by one of our board members evolved into this graphic that reflects our love for our city,” said Vicki Fitch, Bowling Green Area Convention & Visitors Bureau executive director. Speakers at the news conference included: Bowling Green City Mayor Joe Denning; Warren County Judge Executive Michael Buchanon; Leon Volkert, who initiated the ‘i love bg’ idea; Amy Richey, Playful Picasso co-owner; Mirza Osmanovic, Verdi Restaurant owner; retired Western Kentucky University professor Dr. Carl Kell; Bowling Green Area Chamber of Commerce Board of Directors Chairman Rodney Rogers; Brad Taylor, Bowling Green Hot Rods team president; and Tim Earnhart, Werkshop Marketing principal/CEO and Liberty owner, as well as Fitch. They told stories about why they love the community. June 4 will be declared ‘i love bg’ Day in Bowling Green. On this day, the committee encourages all local retailers and restaurants to offer special ‘i love bg’ discounts and promotions. The day will end at the Bowling Green Ballpark with a special ‘i love bg’ night at the Bowling Green Ballpark. More details will be shared as the date approaches. 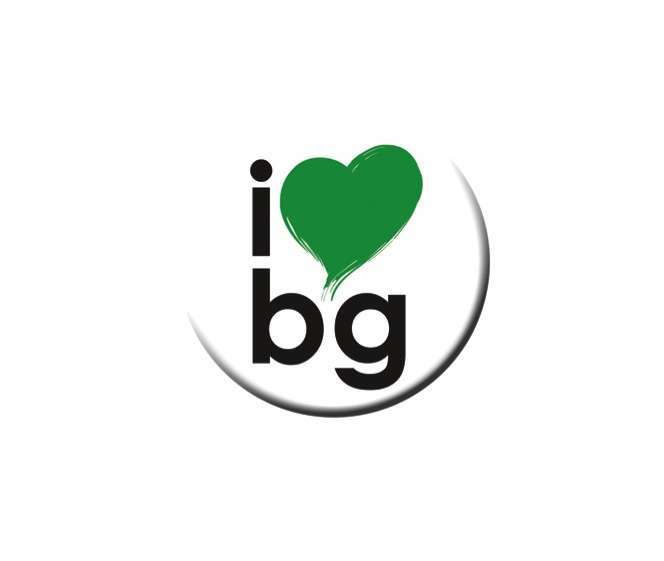 For the ‘i love bg’ graphic, contact the Bowling Green Area Convention & Visitors Bureau at 270-782-0800 or email Marketing Director Emily Causey at emily@visitbgky.com.